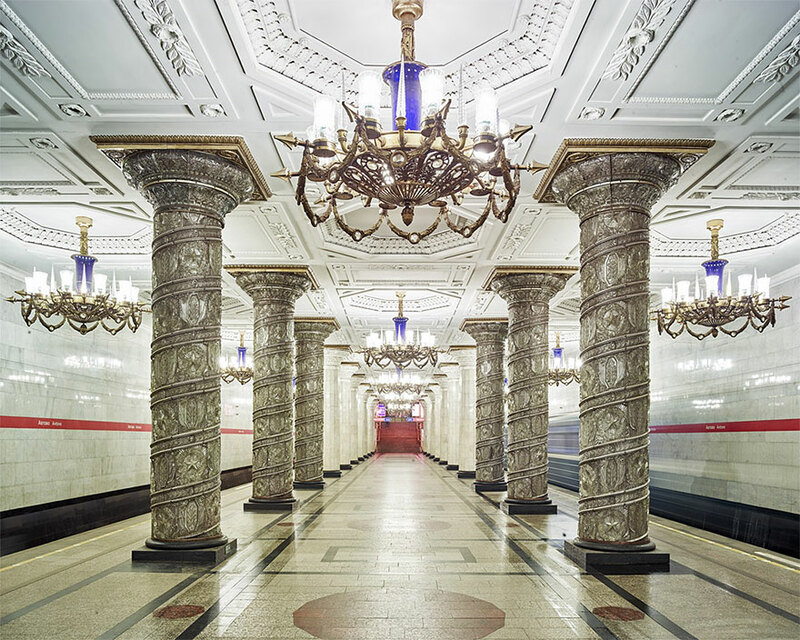 The Moscow Metro architecture is the must see for visitors. 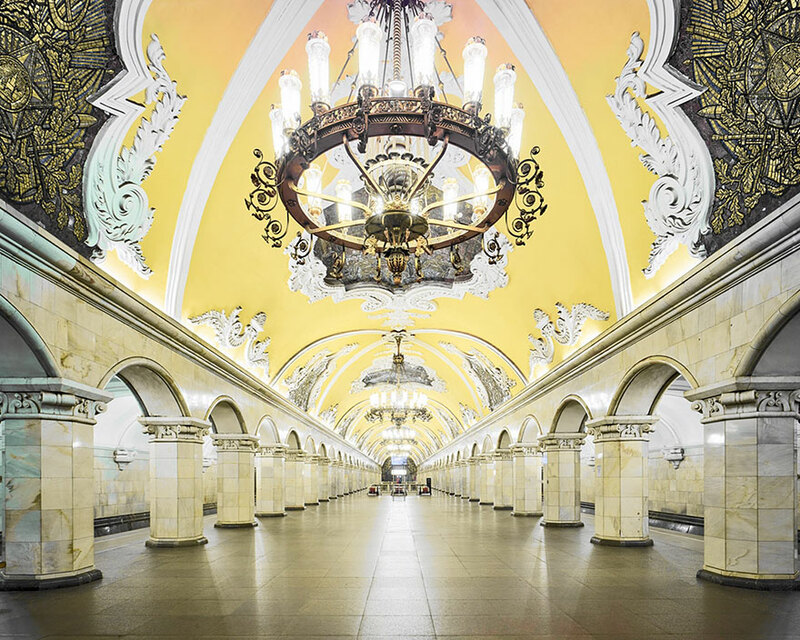 Allegedly, Canadian architect-turned-photographer David Burdeny, was the first photographer to be authorized to shoot after hours of stations operation. 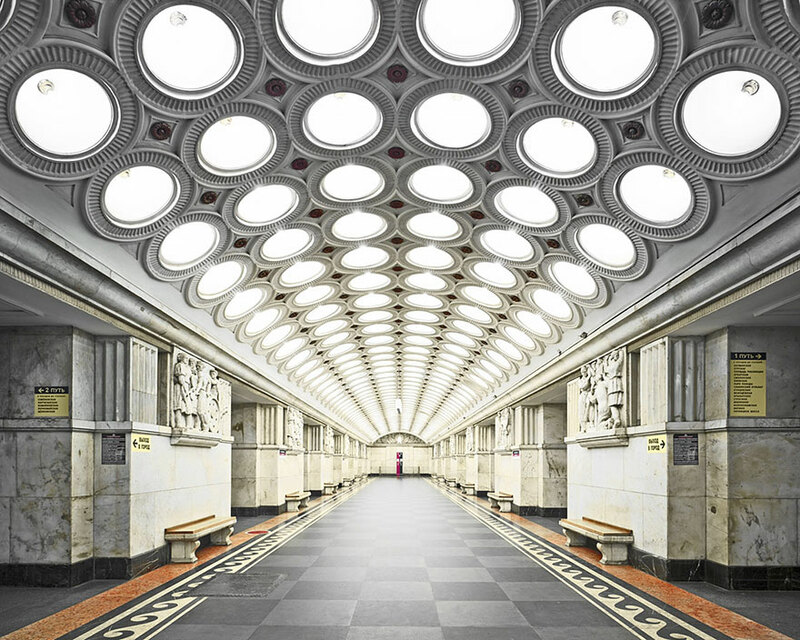 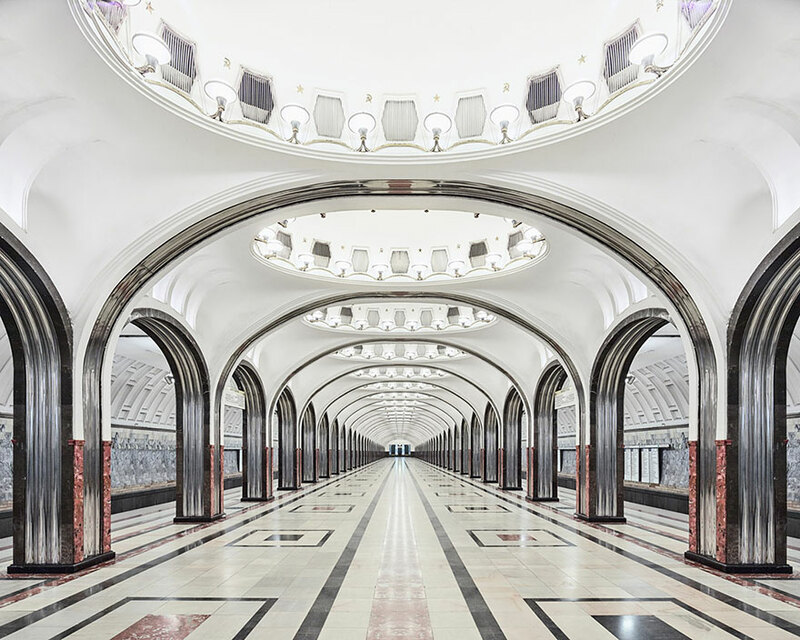 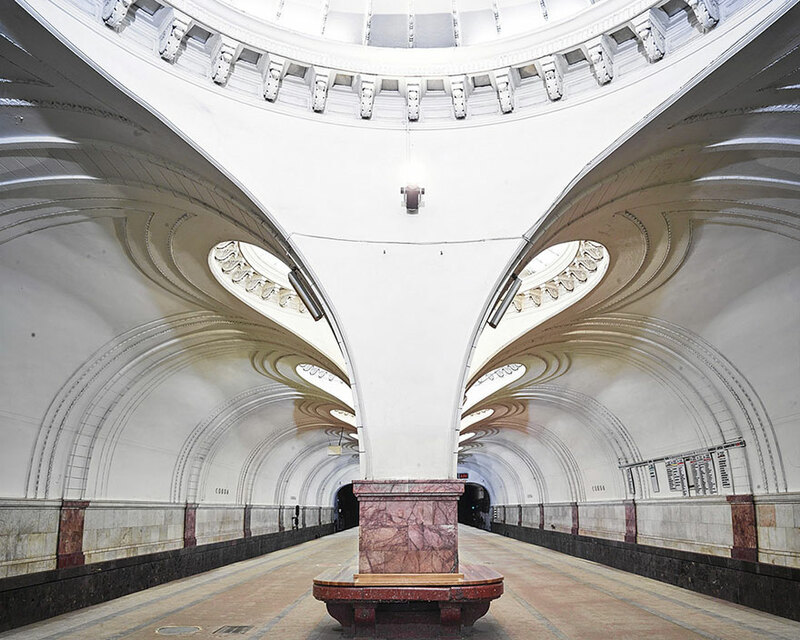 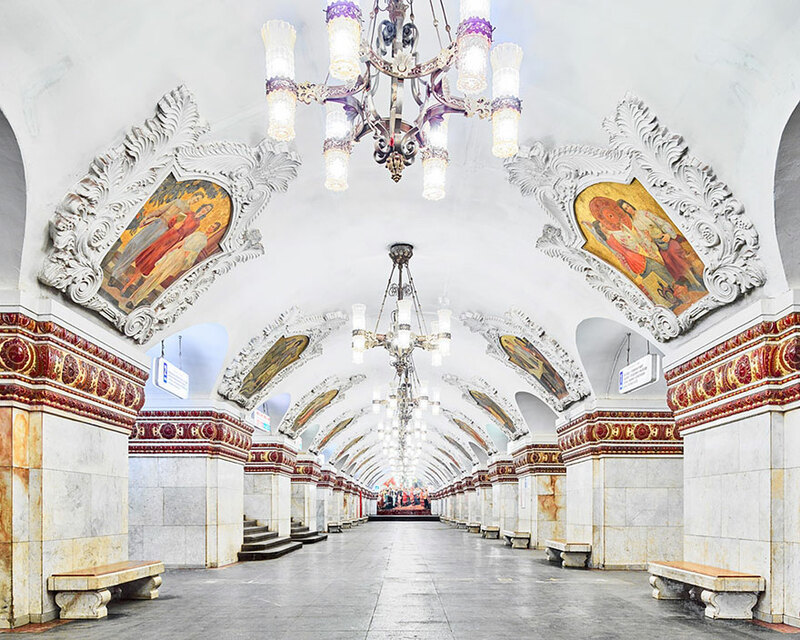 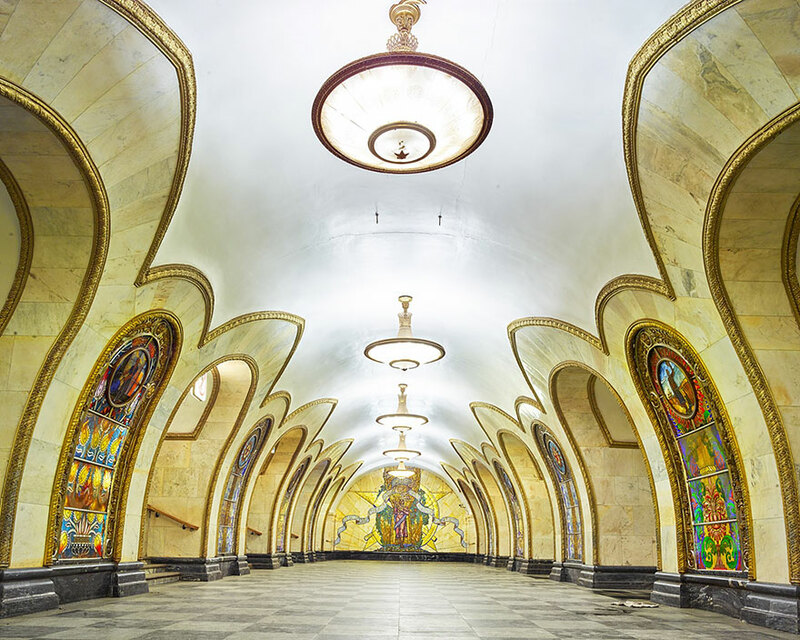 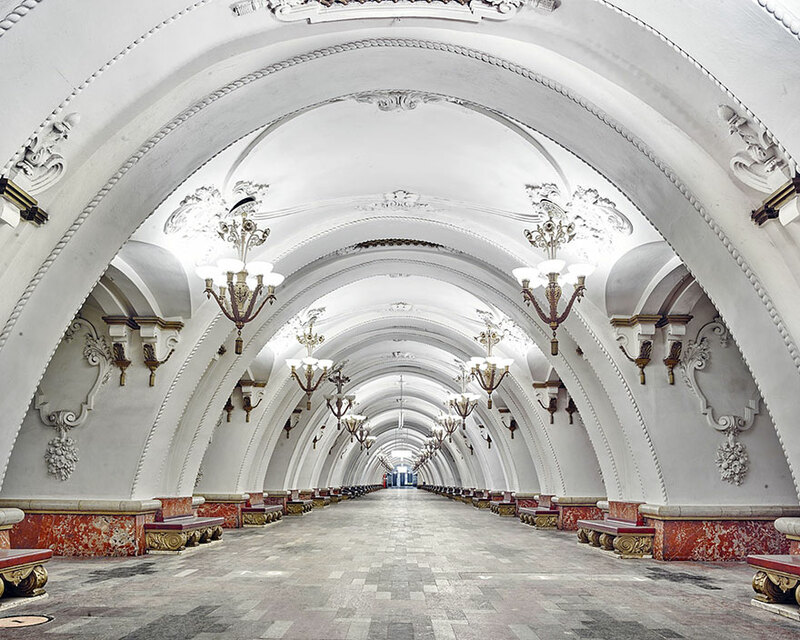 The Moscow Metro opened in 1935, and was meant to be huge Soviet propaganda project. 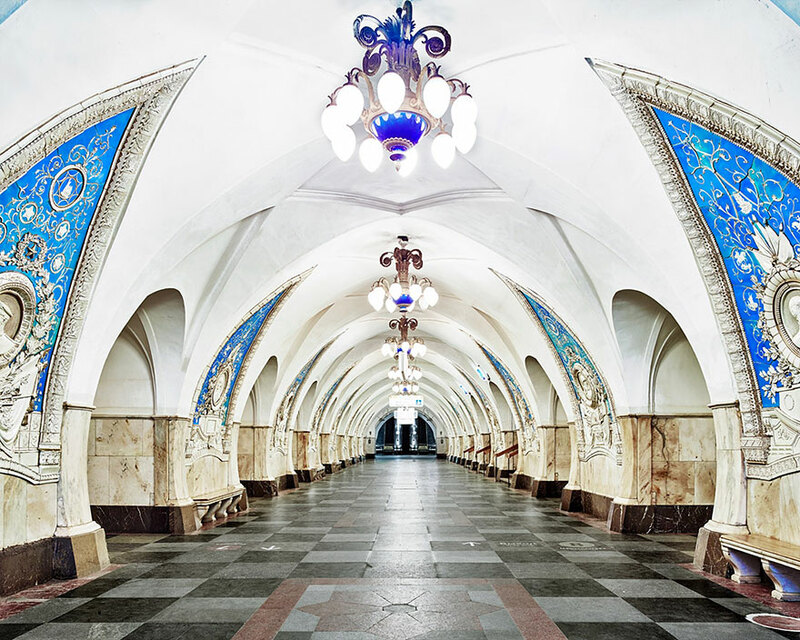 The luxurious architectural designs were intended to predict a bright future for the empire ( “sveltloe budushchee” bright future). 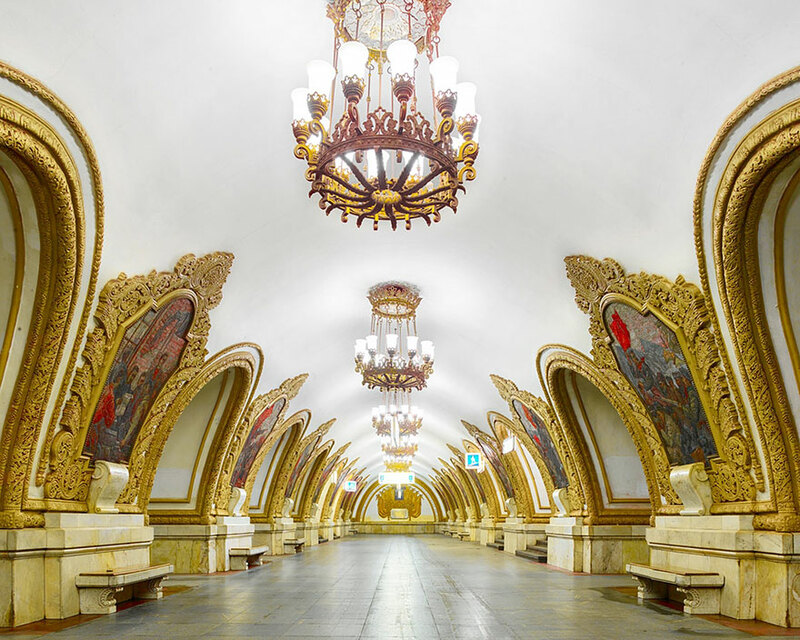 Many of the stations feature busts of Soviet leaders or murals with standard Soviet propaganda elements like the Homo Sovieticus.